Sheridan College is one of Canada's premier educational institutes and is dedicated to exceptional applied learning and graduate success. The College is a leader in providing skills-based educational programming that integrates theory with application, preparing students for careers in visual and performing arts, business, community services and technical fields. Sheridan serves approximately 17,000 full-time students annually at its campuses in Brampton, Mississauga and Oakville, Ontario. Sheridan College has four campuses, one located in Brampton, Ontario, one located in Mississauga, Ontario, and two located in Oakville, Ontario. Brampton is one of the fastest-growing and most culturally diverse communities in Canada. 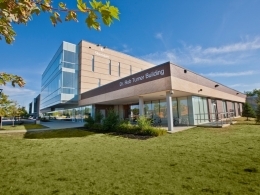 Located close to downtown Brampton, Davis Campus is home to over 5,000 students. Programs are offered in Business, Community and Liberal Studies and Applied Computing and Engineering Sciences. The campus is easy to reach by bus with connections to GO Transit. Hazel McCallion Campus, located in the heart of the Mississauga city centre, is the newest Sheridan campus, opened in September, 2011. The campus is built with the latest in technology and provides a creative, collaborative learning environment. Full-time postsecondary and post-graduate Business programs are offered here, as well as programs designed to help newcomers to Canada integrate fully into their communities. The Trafalgar Road Campus, is home to over 9,000 students. Set in the historic lakeside community of Oakville and located just west of Toronto, with easy access to public transportation, this campus is home to programs in Animation, Arts and Design, Business, Community and Liberal Studies, and Applied Computing and Engineering Sciences. Features include the Sheridan Centre for Animation and Emerging Technologies – its technological infrastructure is state-of-the-art. The Skills Training Centre (STC), located on Iroquois Shore Road in Oakville, is home to Sheridan's pre-trades and apprenticeship programs. STC is widely considered to be among the best training facilities of its kind in Ontario.